Let Pufalt-Pauley Insurance help you find coverage options that protect you, your family, and your personal property. Let us help make sure you’re properly covered. Whether you’re starting out, between homes, or downsizing, we'll help you pick the Illinois renters insurance coverage that best fits your needs. 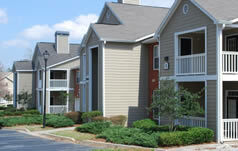 Want to find out more about your Renters Insurance options?